City Hall Concerts take place in Brisbane City Hall from February through to November every Tuesday from 12-1pm. Concerts are FREE and no booking is required. Dynamic pint-sized British comedienne Bubble and David Lee-Jay present a nostalgic concert of slapstick humour and sing-along from the Old Dart. Enjoy Brisbane City Hall's magnificent pipe organ played by Phillip Gearing in collaboration with Queensland Conservatorium Brass Band. Showcasing some of Brisbane's most seasoned professional musicians, the Mood Music Swing Band transports you to the famous era of swing jazz. One of the most phenomenal jazz drummers in the world, Marcio joins acclaimed local musicians to perform much-loved Brazilian and jazz standards. Ludy Sigrist presents his favourite hits from one of the world's premier contemporary entertainers, Neil Diamond. A super-swingin' latin pop cocktail of the biggest hits of Sérgio Mendes and Brazil66, including The Look of Love, One Note Samba, Daytripper and Mas Que Nada. From the team that brought you the hugely successful Bossa Nova Sunset Club series, comes the hit show from Anywhere Festival and Queensland Cabaret Festival. Sérgio Mendes took his Brazilian roots and melded them with his singular pop sensibilities to create major hits across the Western world, from movie soundtracks to chart-topping songs by composers including Burt Bacharach, The Beatles, JJ Cayle and Jorge Ben. Featuring some of the quirkiest, kitschest and coolest hits of the 60s, including Mas Que Nada, The Look of Love, Chove Chuva, One Note Samba and Daytripper, you'll be transported back to the era when everyone was grooving to the Brazilian-pop explosion that was Sérgio Mendes and Brazil 66. The Banksia Wind Quintet will bring a fresh perspective to music making when joined by Dario Scalabrini on clarinet. Evoking visions of Parisian laneways, South American sensuality, and European folk-music, Estampa delivers an energetic, internationally-inspired performance. Combining a unique blend of violin, voice, piano accordion and double bass, expect an eclectic experience that will leave you feeling like you’ve entered a 1930’s Parisian jazz club or the streets of São Paulo. 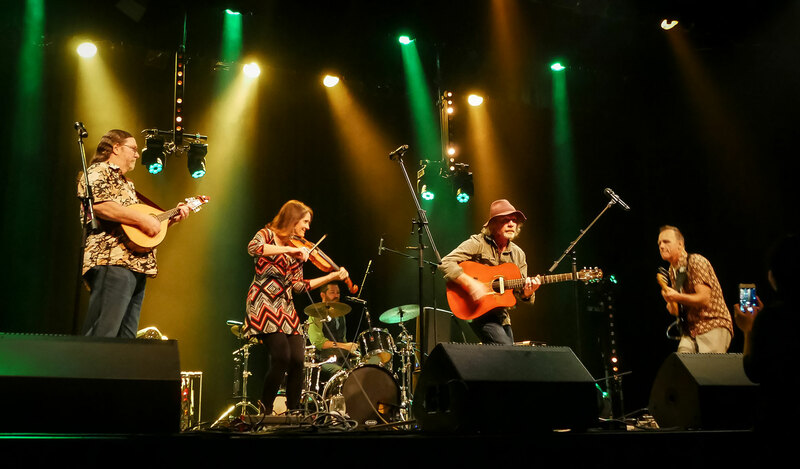 ‘Estampa' is comprised of Rebecca Karlen on violin, vocals and percussion, Paul Henderson on guitar, John Reeves on accordion and Sam McBride on bass and vocals. The band is back together and on a mission to entertain with a showtime concert from the classic cult movie, The Blues Brothers.